e get back once again with a great month full of wedding events. We get back to Apulia, Lake Orta, Lake Maggiore, Lake Como and Rome, well could you ask for more? 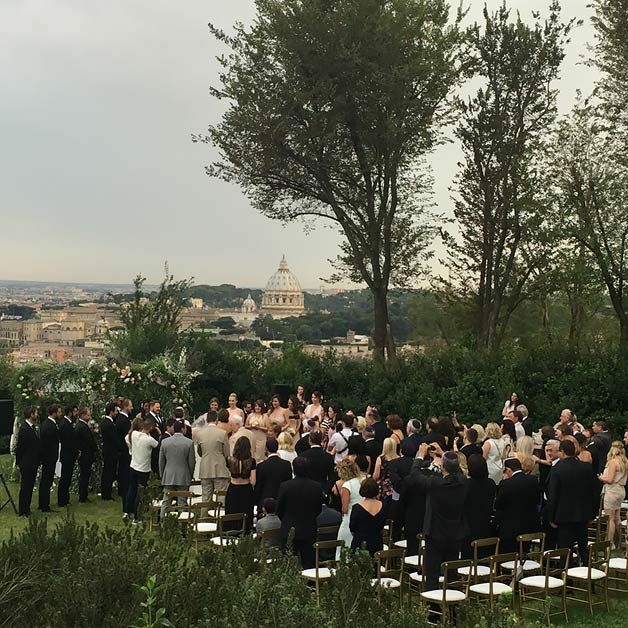 Some wonderful couples coming from all over the world to celebrate their wedding in our wonderful country with amazing views of the lake, countryside and enchanting Rome skyline. 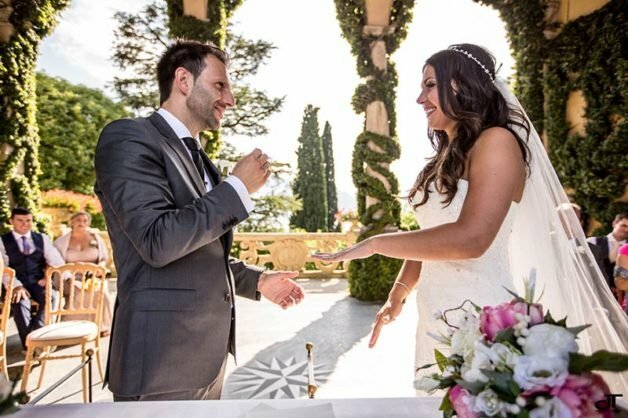 You really need to get to know our couples who tied the knot in July 2016 and we had the pleasure to follow for Italian Lakes Wedding Team. We open the month with Alessandra and Rino’s wedding in Apulia on the 1st July! 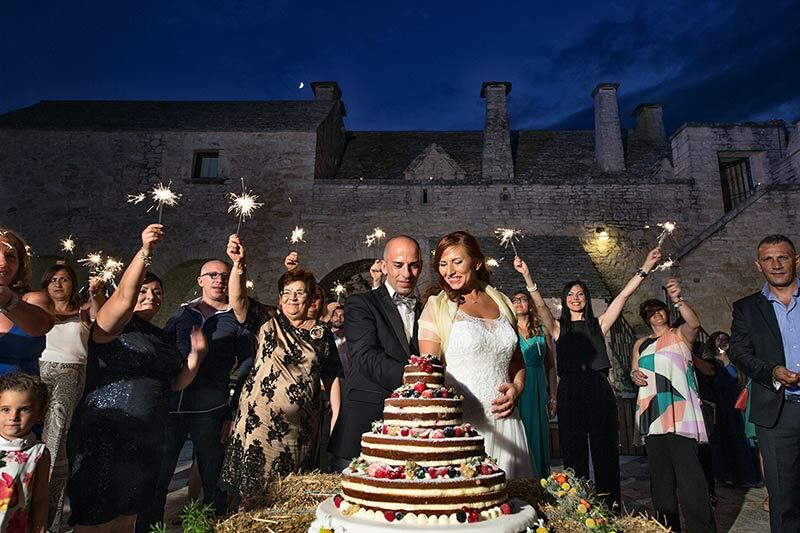 A wonderful Italian couple who celebrate their wedding with about 240 guests! Amazing! Michela and Michela followed the event for us. They opted for a Catholic ceremony in a lovely country church in Conca d’Oro a location not far from Taranto. They wanted the church to be embellished with some wooden barrels with white flowers, fuchsia tulips, an hessian carpet and deep green moss. 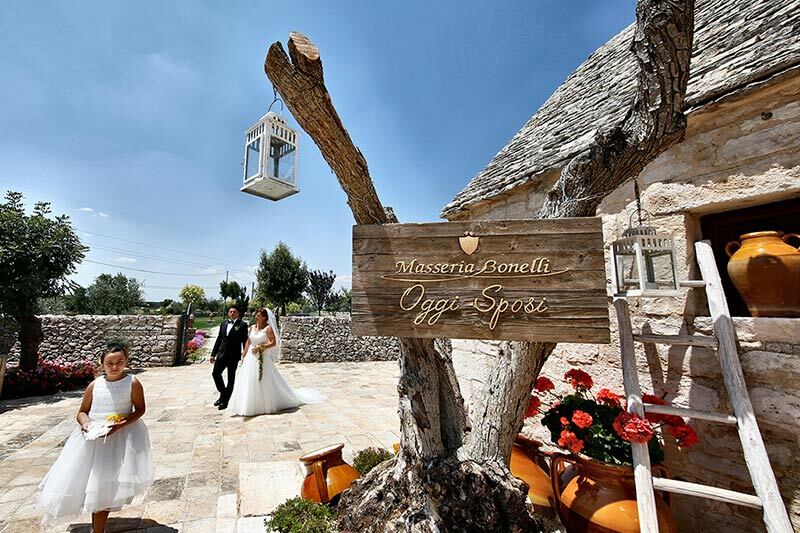 For their reception they chose a venue in Selva di Fasano a small village close to famous Alberobello. 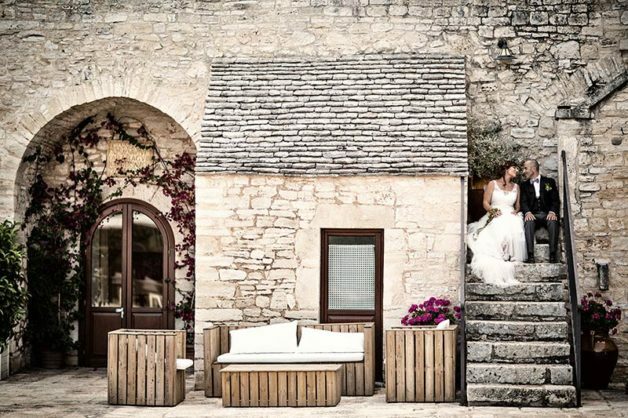 The venue features famous trulli that added a special touch to the reception and made it very traditional. On the tables wonderful country jars with cherries, wholeness and almonds. Lot of dances and some traditional dances with traditional tambourines give as special gift to all guests. What a fantastic idea! 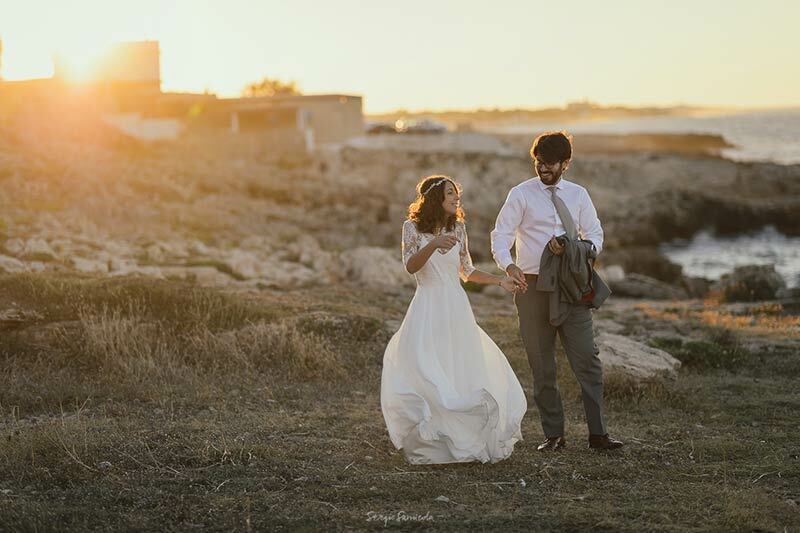 We keep on staying in Apulia for Sonia and Francesco’s wedding on July 10th. Michela and Michela followed the event for us. About 120 guests for a lovely Italian couple. Symbolic blessing has been officiated by a dear friend of the couple outdoor under a warm July sun. Reception was planned inside Masseria Sonia and Francesco chose for the reception. A fun caricaturist entertained the guests providing them a drawing as special wedding gift. A special surprise for all guests at the moment of the cutting of the cake with amazing fireworks. 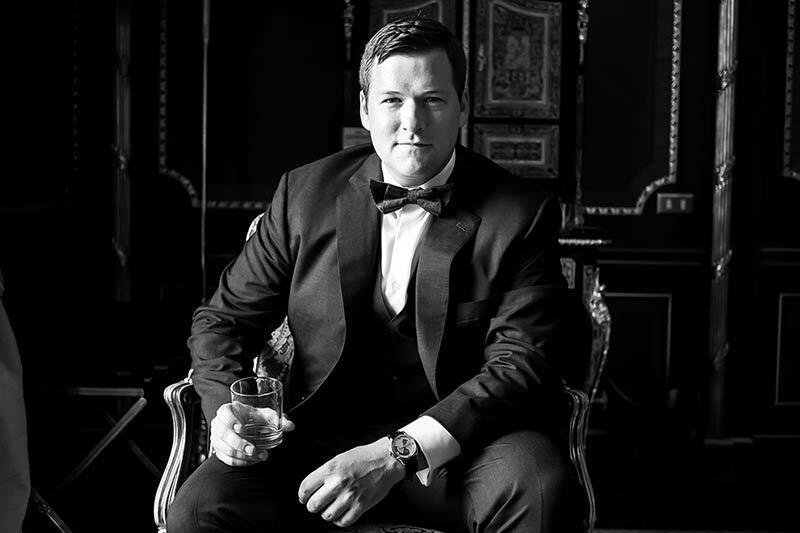 We move a little North for a big wedding in Rome! Stefania with the help of Carolina and an enlarged team followed big Laura and Benjamin’s wedding. 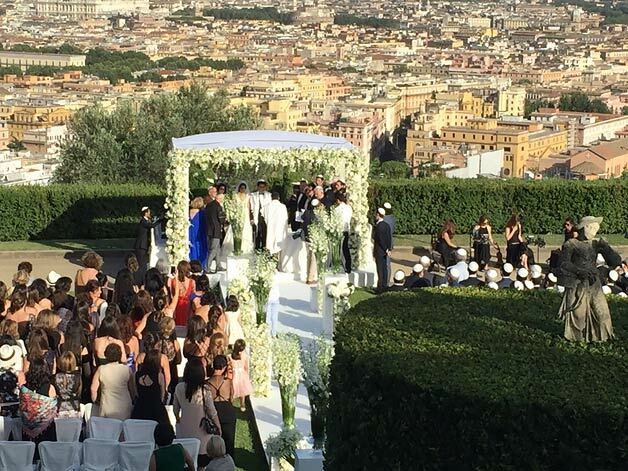 They tied the knot on 14th July at famous Villa Miani in Rome. 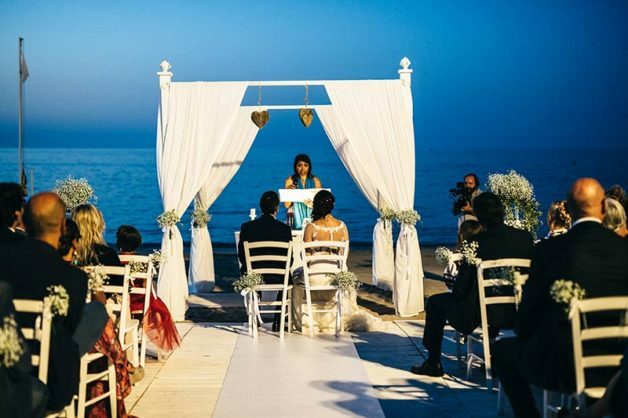 A special Jewish wedding for about 290 guests who came mainly from France and all over the world. Jewish ceremony and blessing was performed in the garden of Villa Miani overlooking an amazing view over Rome skyline. Huppah was decorated in all shades of white in a very contemporary style. A long reception to follow with fantastic music performed by a big band who come directly from Paris. A fantastic event in eternal city! 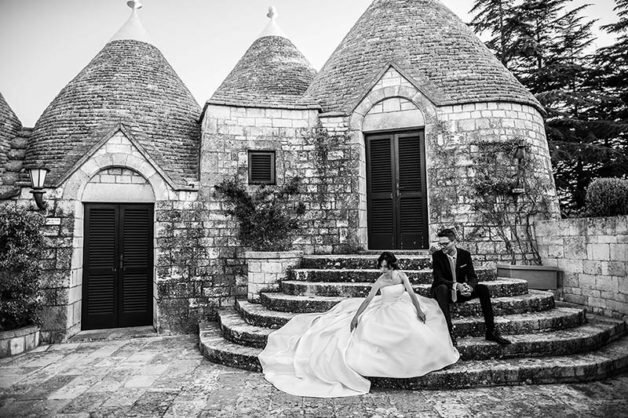 This wedding is also featured on Italian Rome Wedding and Italian Ethnic Wedding” target=”_blank”>Italian Ethnic Wedding sites. 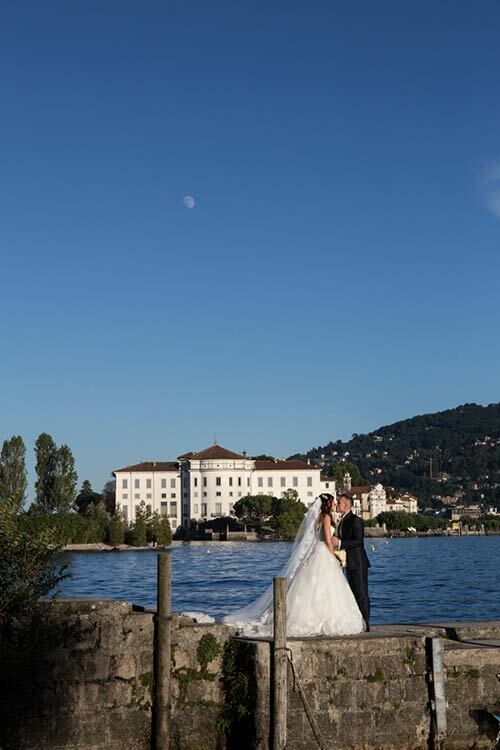 We move North, to Lake Varese for Stephanie and Andrea’s wedding on July 15h. Alessandra and Veronica followed the event. 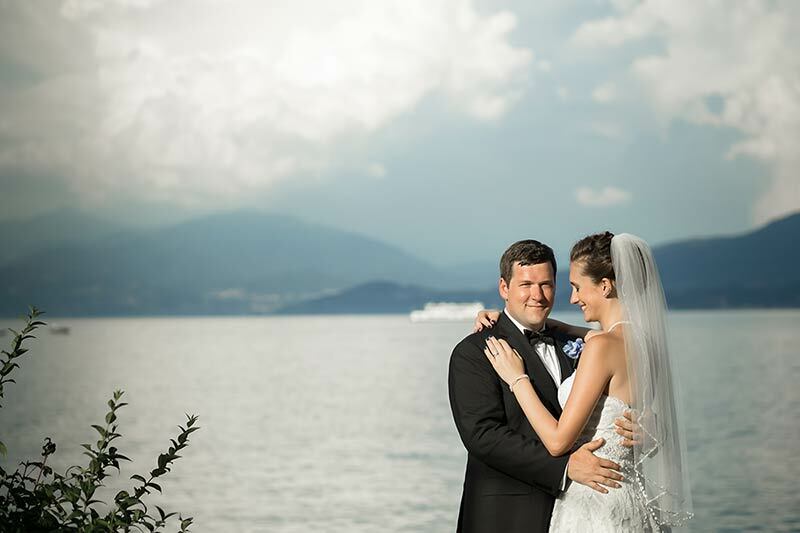 Andrea is Italian and Stephanie is American they tied the knot in a private villa on Lake Varese. 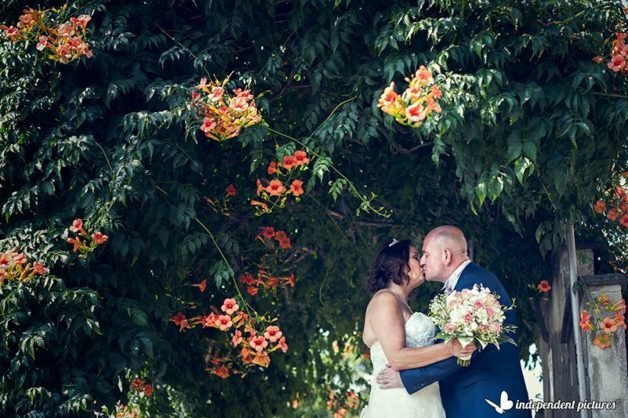 Ceremony has been performed under a wonderful pergola embellished with hanging roses. 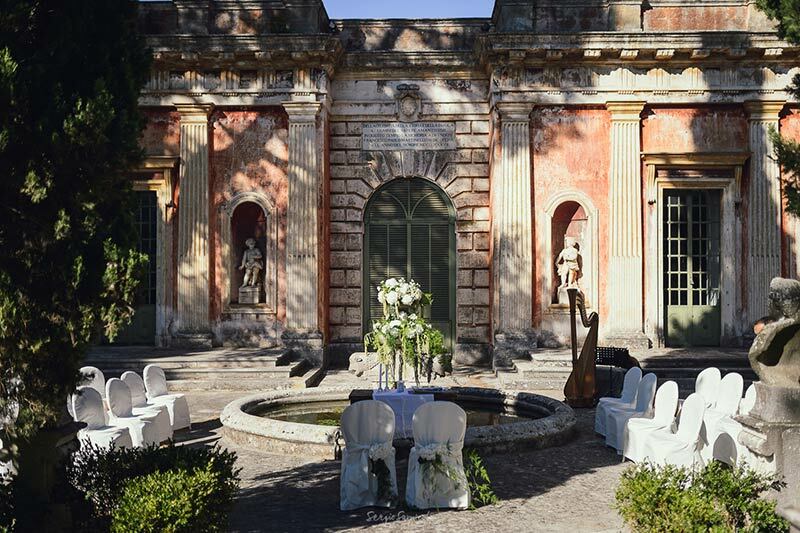 A lovely aperitif to follow in the gardens of the villa and a dinner inside the wonderful rooms of the mansions. A wonderful country villa decorated for the wedding but with original country furniture and ornaments. 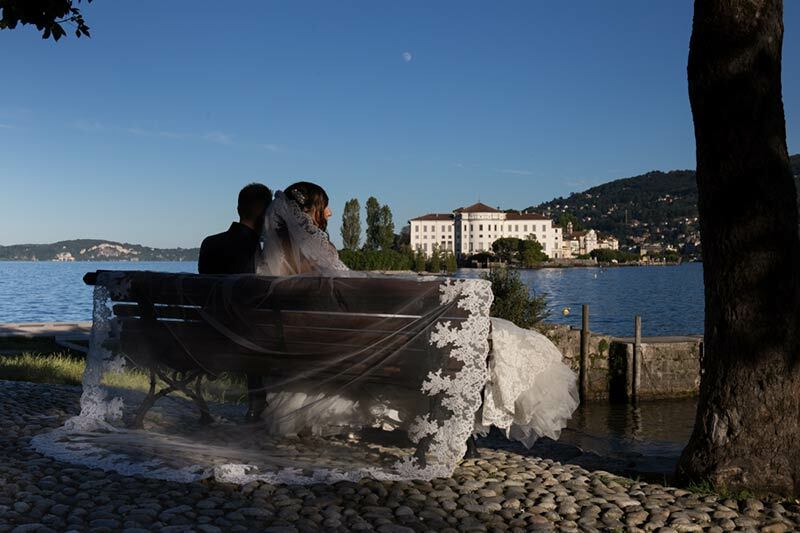 On July 16th La Piccola Selva Floral Designer Team followed a wonderful wedding in one of the most scenic churches on Lake Maggiore on Piemonte shores. We are talking about Church of San Carlo in Feriolo. It is the only one located just on the shores in an amazing position. A great frame from Daniela and Dario’s wedding. 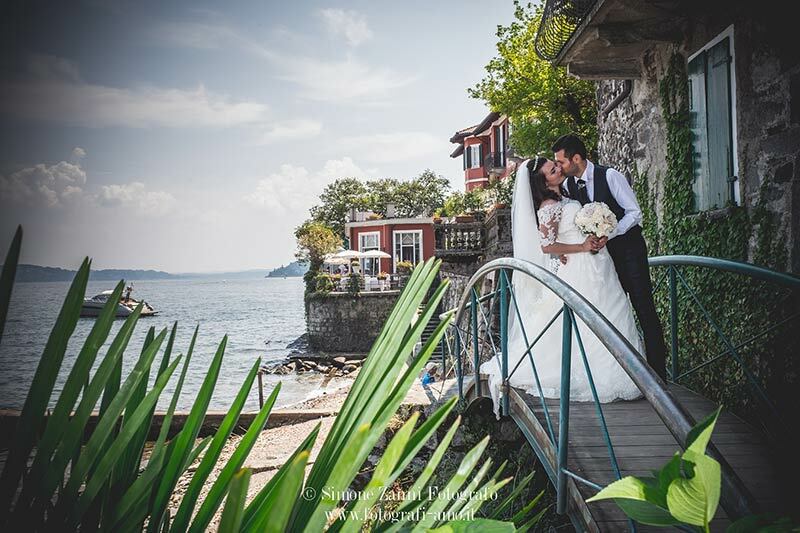 For their reception the couple chose Villa Aminta in Stresa. 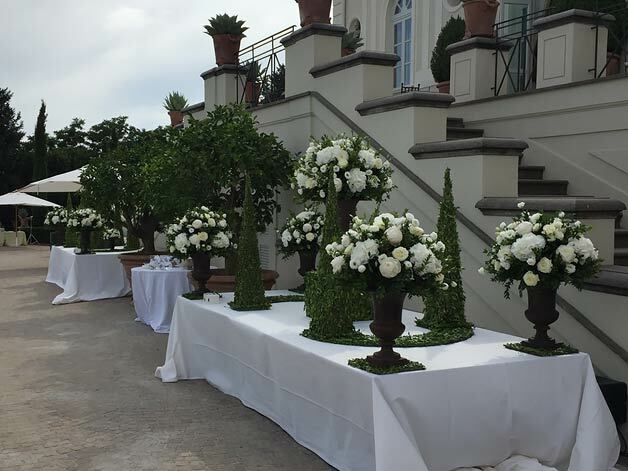 La Piccola Selva Team used classical ivory Vendela roses, Gypsophila and Dendrobium Orchids. A special thanks to Ghismo Entertainment for amazing photos of Daniela and Dario. There is a wonderful video of the event that we hope we could show soon on our blog. We get back in Rome for another Jewish wedding followed by Stefania, Carolina and an enlarged team followed for us. 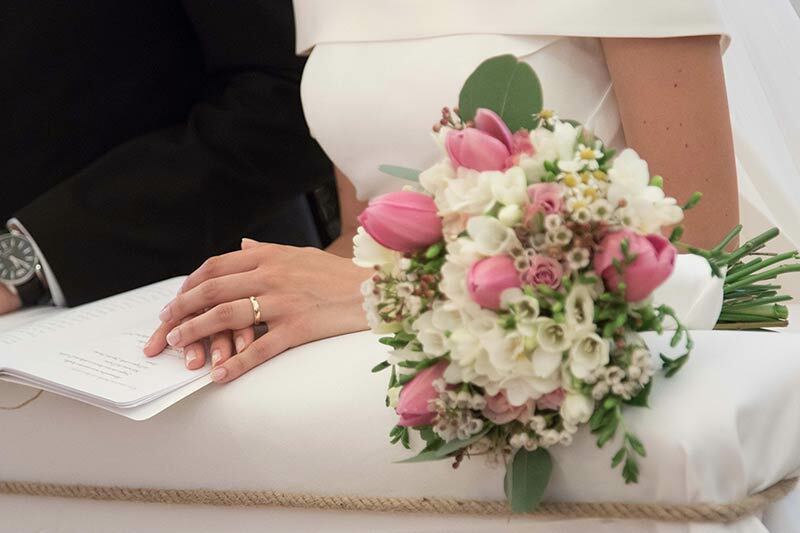 Celine and Julien tied the knot on July 17th. 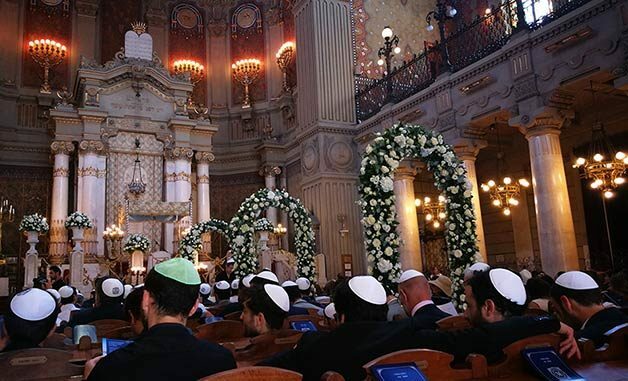 They chose a traditional Jewish ceremony inside the Great Synagogue in Rome. They chose a white and blue themed wedding. 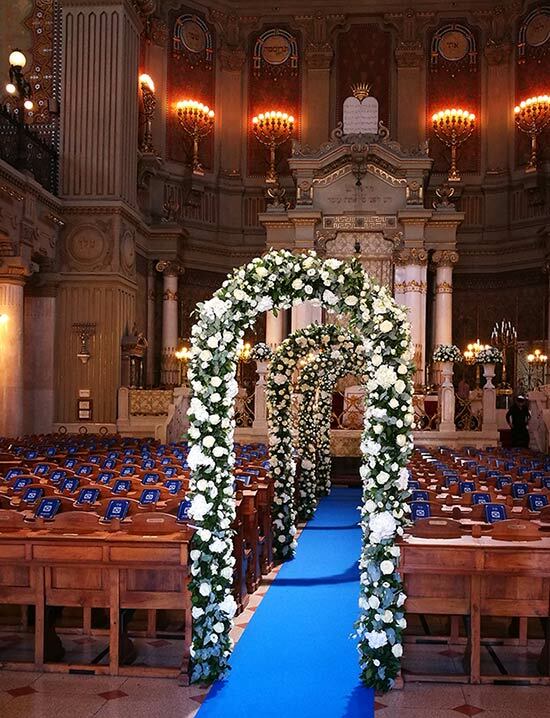 Amazing arches with white roses decorated the aisle at the Synagogue and enchanting tall silver candelabras as centrepieces embellished the tables at Villa Miani. Another big group of 280 guest who come directly from France and all over the world. 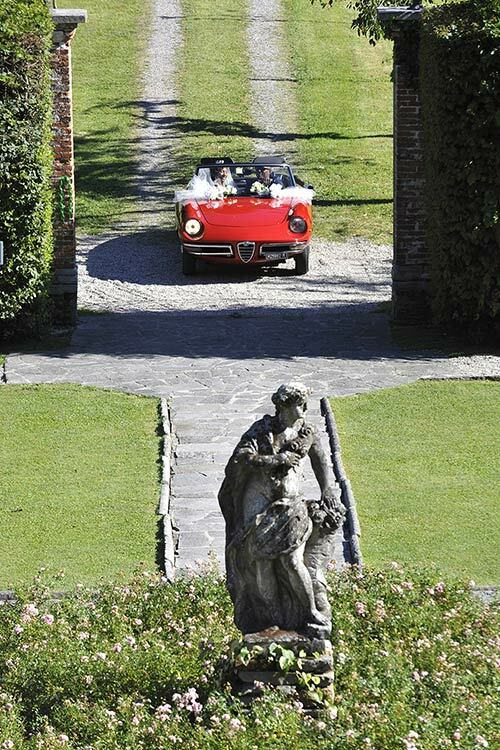 Bride and Groom arrive on a Vespa to Villa Miani, their wedding really respected Italian style. They had a full week of Italian events before the wedding day. Amazing music played by a big band of 15 elements who came directly from Paris and lots of fun for all. 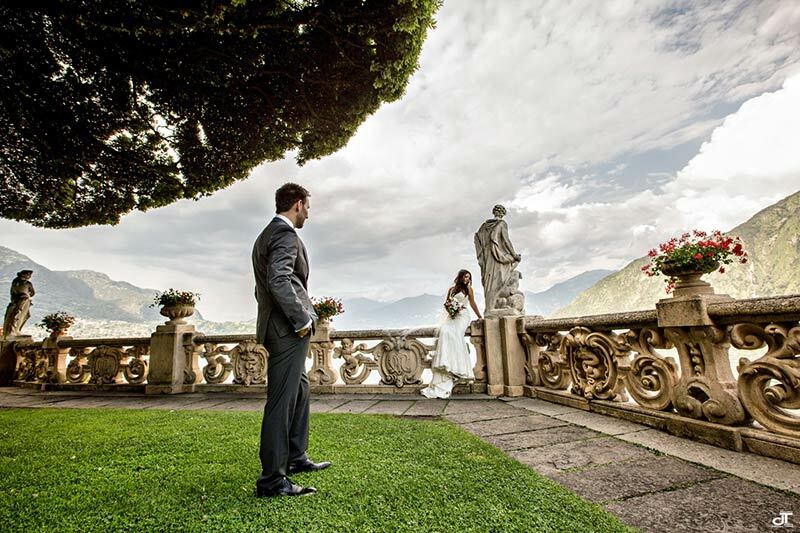 On July 18th we get back to Lake Como where Alessandra and Veronica followed Karen and Joe’s wedding. A three days event: a welcome cocktail in the villa where they stayed the day before, a wonderful ceremony at Villa Del Balbianello and a fantastic reception at a beach Club on the Lake and a final brunch on the beach for the day after. After the civil ceremony at Villa del Balbianello bride and groom enjoyed a lovely aperitif and a fun ice cream at the villa. Ice cream was provided by a cute ice cream cart! 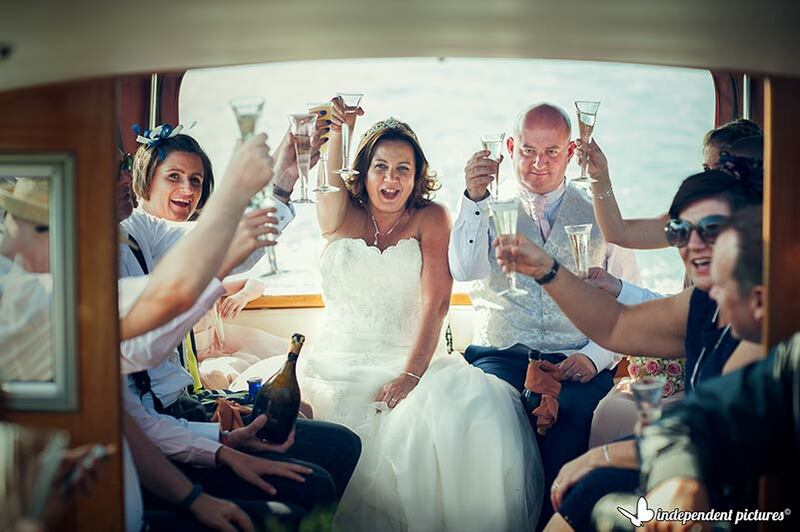 A boat trip to reach reception venue at the Beach Club where they all had a wonderful meal with lots of music by a live band to follow and a fun Photo Booth to entertain all guests. 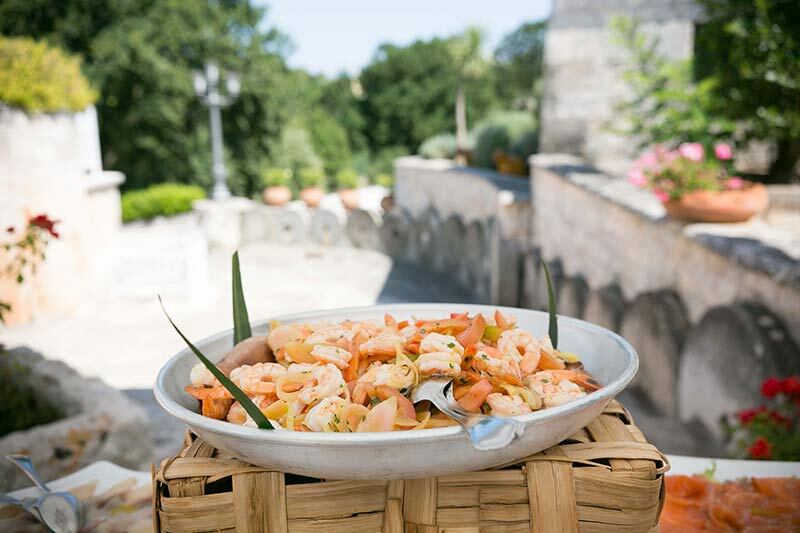 Back to Southern Italy in Apulia for another wedding followed by Michela and Michela. Megan and Jarret got married on 19 July. They both came from US with a group of about 30 guests. Symbolic blessing was performed in a wonderful villa in Monopoli village. Michela who is also a professional celebrant officiated the rite. 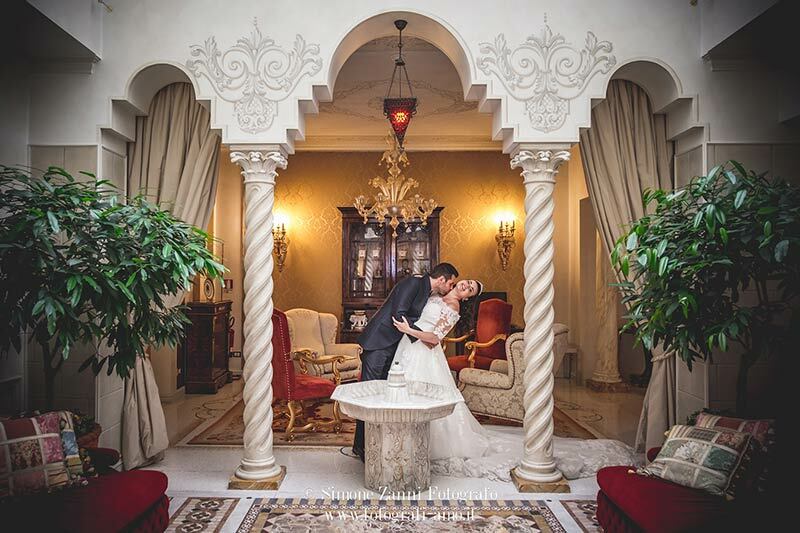 Almost all guests including bride and groom spent their Italian days in the same villa of the ceremony. An amazing 1700 mansion with statues, frescoes, ancient fountains and paintings. 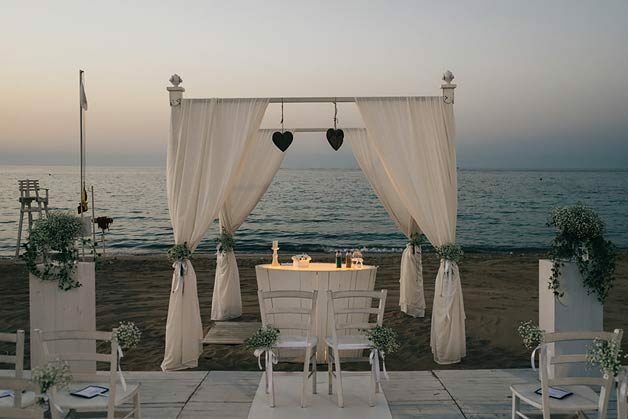 A wonderful long table for the reception with linen gazebo and romantic fairy lights on top. For their floral decoration Megan chose some Panarelli (traditional Apulian wicker baskets) with camomille flowers arranged with little bottles with lilac allium inside. A fun swing band made everybody dance right after the wedding cake cut served in the front part of the villa. Again in rome for another Jewish wedding. 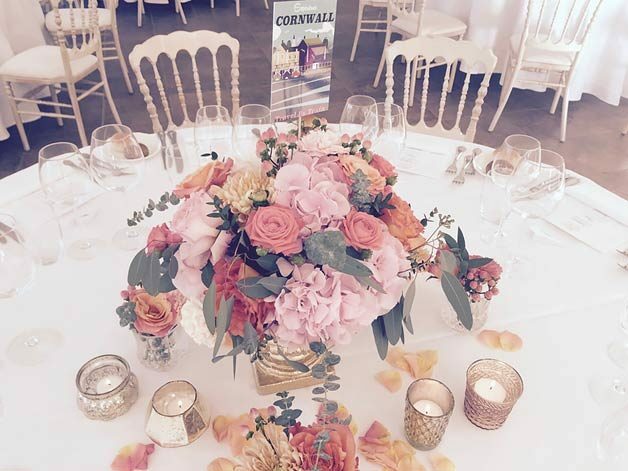 Stefania is definitely our Jewish wedding specialist. She knows every secret for a wonderful and successful Jewish in Rome. David and Lynell got married on July 23rd. 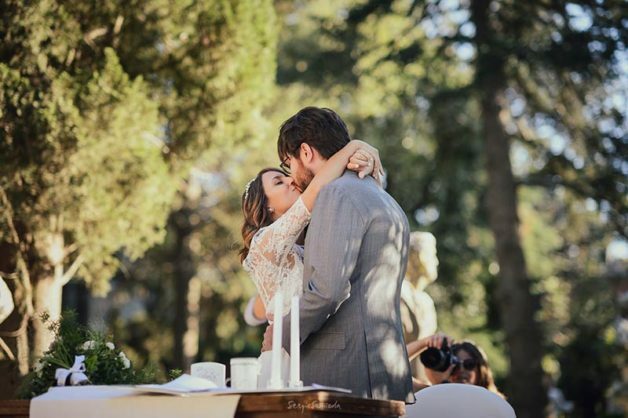 They planned their wedding ceremony in the grounds of Villa Miani overlooking an amazing view on Rome. 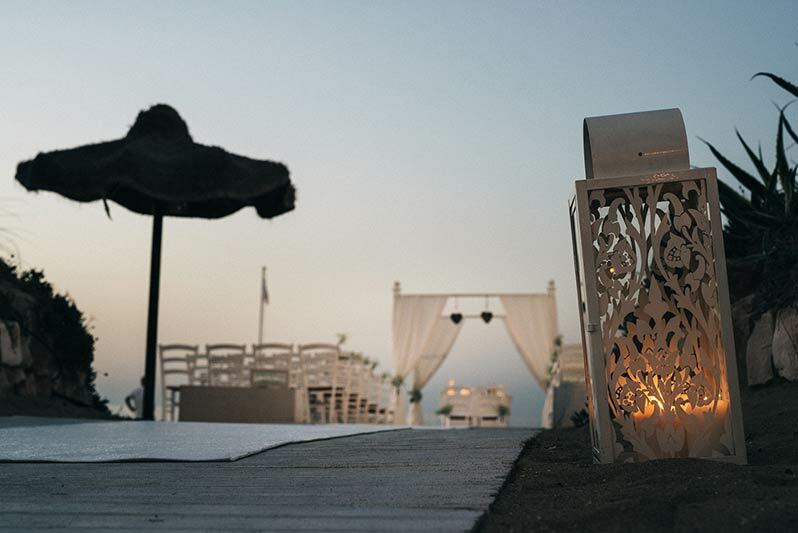 Reception to follow on the terrace of the villa, outdoor with another amazing view. 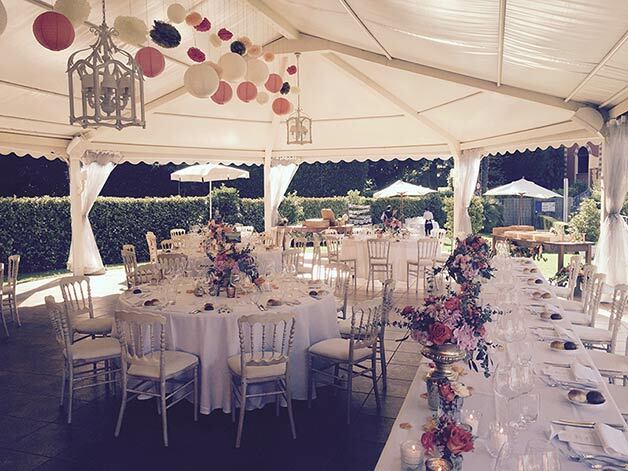 For their special day in Rome they opted for a vintage style with some natural decoration in pastel tones. Back in Apulia once again for another wedding Michela and Michela followed for us. 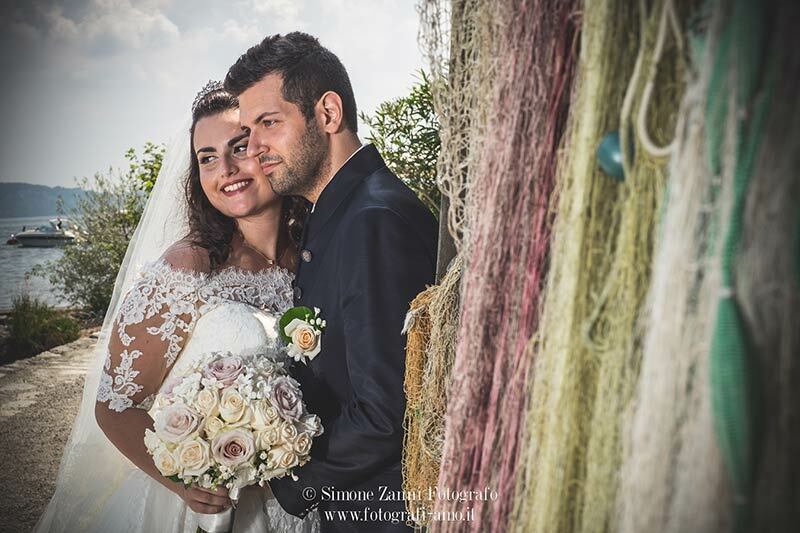 Alessia and Domenico got married on the same day close to Taranto. They opted for a Roman Catholic ceremony in a small church in Carosino close to Taranto. They also planned a second symbolic blessing on the beach at sunset accompanied by the sound of a violin and a guitar. They opted for Monopoli for this special moment. The venue was chosen for the reception to follow too. A total white event with a touch of gold. During the second ceremony couple exchanged a second ring, in wood. The most romantic thing! They planed lots of music and entertainments including and aerial dance show. Fireworks and LED balloons at the wedding cake cut by the sea shores. This wedding has been chosen to be part of a famous TV show: FOUR WEDDINGS. Four brides agree to be guests at one another’s weddings and judge which is best. Son on the day a tv troupe was present to shoot all and bride wore a microphone all day. Back to Lake Como for Stacey and Ryan’s wedding on 25th July. Alessandra and Veronica followed the event for us. 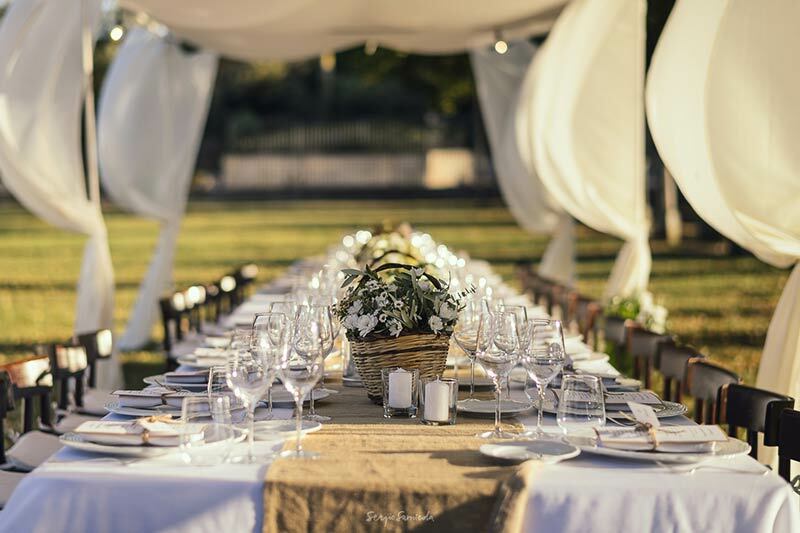 A very intimate wedding for an English couple. 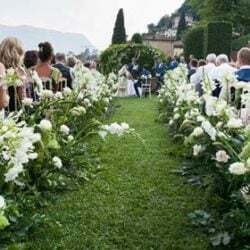 Green and ivory decorations for a ceremony at Villa del Balbianello with aperitif to follow. Dinner was served in another special area overlooking Lake Como. A live band entertained the evening creating a very special atmosphere for all. On July 27th Valentina followed Samantha and Mitchell’s wedding. A lovely couple of Canadians living in Switzerland. 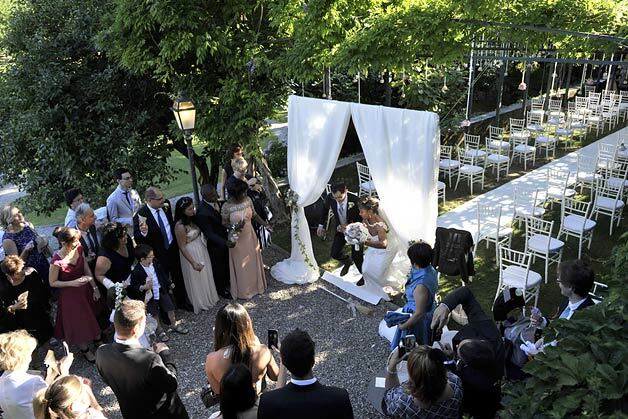 They opted for a romantic symbolic blessing in the grounds of Villa Rusconi Clerici with a lovely aperitif to follow in the big lawn and reception inside the renewed pavilion on the villa. A magic evening all decorated with candles and hydrangeas. Samantha wanted for her and her bridesmaids full hydrangeas bouquets. Very pretty and simple. Bridal party after the ceremony took the chance to have a little tour at Villa Taranto Gardens. They are listed among the best botanic gardens in Europe. They surely got amazing photos! We will come back soon to speak about it. On 29th July Valentina followed a very intimate and sweet wedding on Lake Orta. 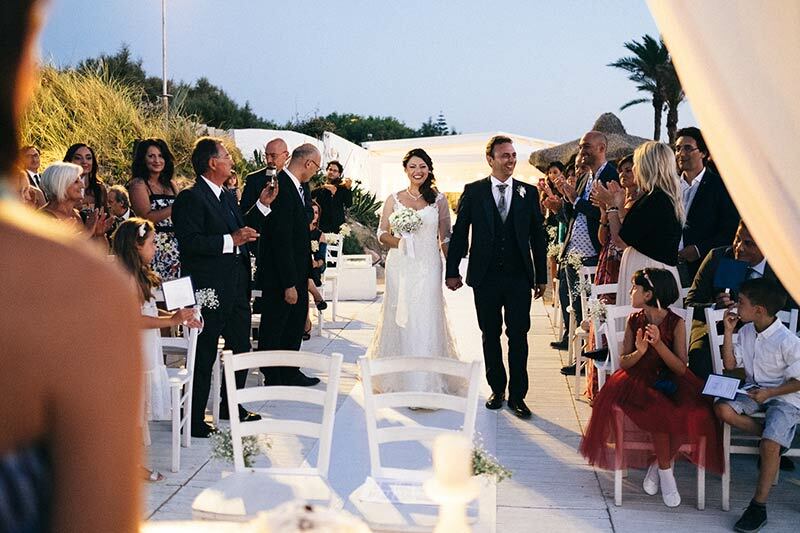 Andrea and John tied the knot at Villa Bossi with a civil ceremony by the shores. Bride and groom and their little baby celebrated this special day with a group of about 25 people. A lovely aperitif with some great photos in the main square in Orta and a fun boat trip for all with drinks on board. 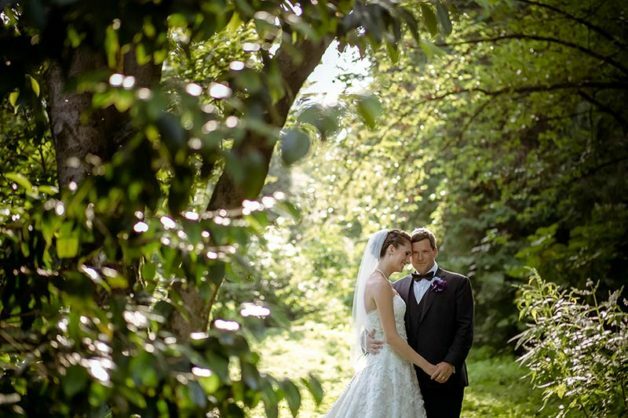 Bride and groom took also the chance to have amazing photos on St. Julius Island. After that, they all reached Hotel San Rocco where they could enjoy a warm afternoon in Villa Gippini where they got their aperitif. 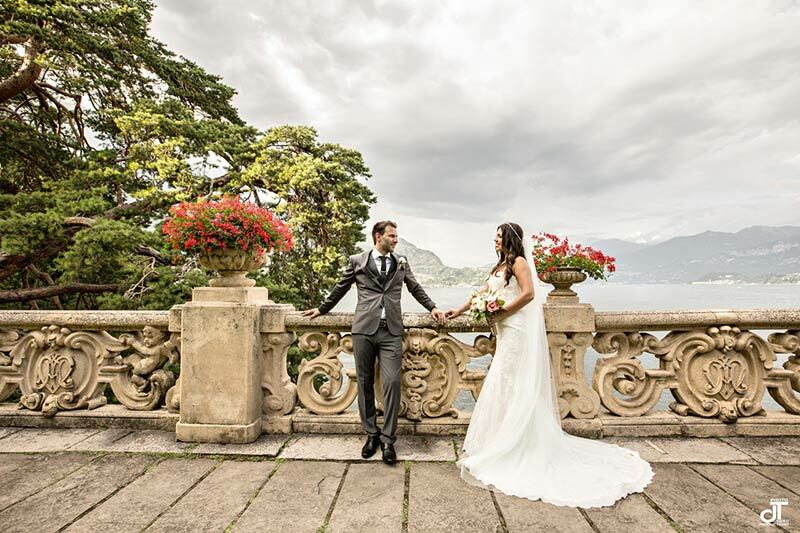 Reception to follow was planned on the main terrace of Hotel San Rocco overlooking the lake and St. Julius Island. 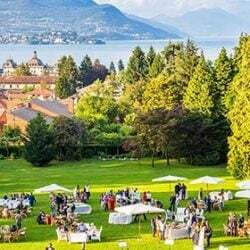 On 30th July we get back to Lake Maggiore for another amazing event followed by La Piccola Selva Floral Desgner Team. Ivory roses, white hydrangeas and jasmines! Enchanting. 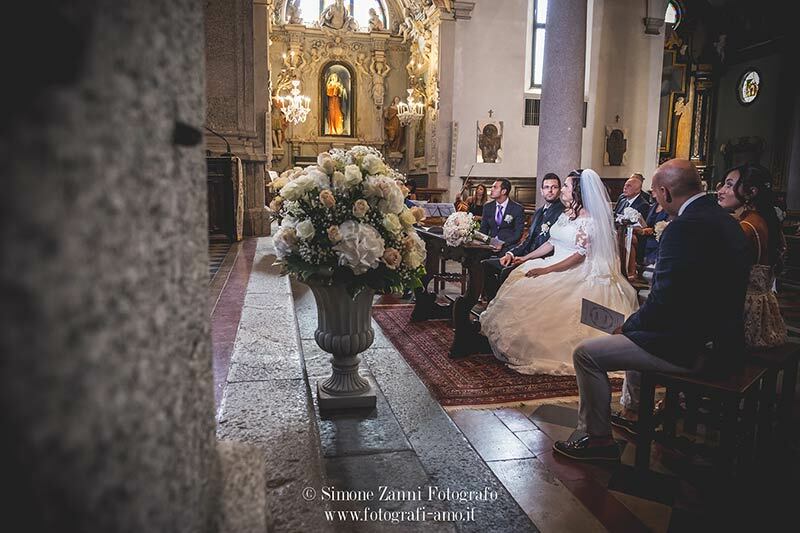 Gabriella and Francesco chose this special mix for their Roman Catholic ceremony at the church of San Leonardo in Pallanza and reception to follow at Villa Aminta in Stresa. An unforgettable and very detailed event. 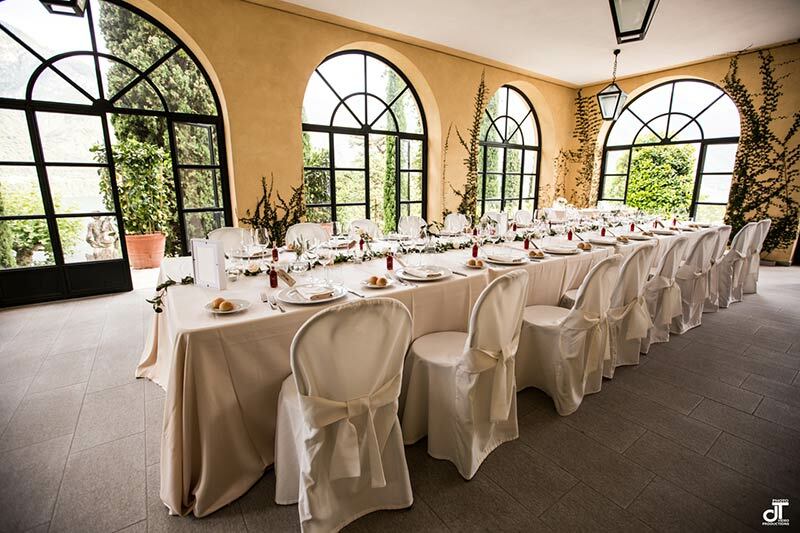 A perfect match of the color of the centrepieces at Villa Aminta in the same shades of the reception room. 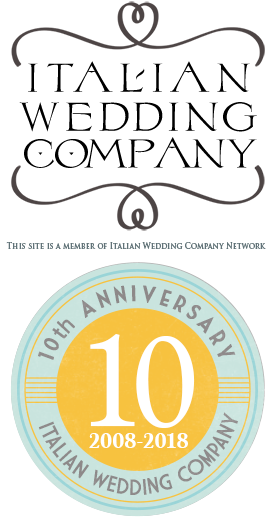 A special thanks to Simone Zanni of SimoStudio in Verbania for the images they provided. And this is all for now, but Summer season is not finished yet!!! 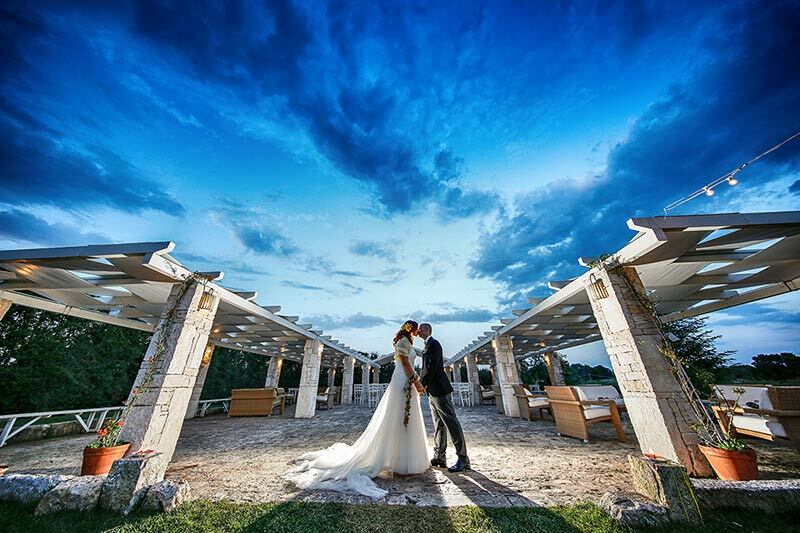 A special thanks as usual to all couples who chose us and professionals who worked for and with us to create unforgettable events on Lake Orta, Lake Maggiore, Lake Como, Rome and Apulia. 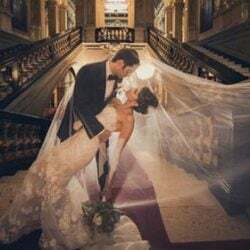 Stay tuned as we will speak more about many of these events in dedicated posts on our web sites and most of all do not forget to read more soon on these pages about August weddings on their way! Congratulations to all newly weds! !